Augmentation cystoplasty (AC) is a surgical procedure used to increase bladder storage capacity or improve detrusor compliance. Performed by urologists for more than a century, the technique has evolved over the years, using different segments of the gastrointestinal (GI) tract. It is frequently combined with other procedures depending on the need for correction of associated problems (bladder outlet correction, ureteral obstruction, etc. ), and more recently has been performed laparoscopically or robotically. Even though its role has declined over the years, decreasing from 192 operations in 2000 in the United Kingdom to 120 in 2010 [Biers et al. (BJU Int 109(9):1280–1293, 2012)], it remains of paramount importance for the reconstructive urologist to be proficient with this procedure. 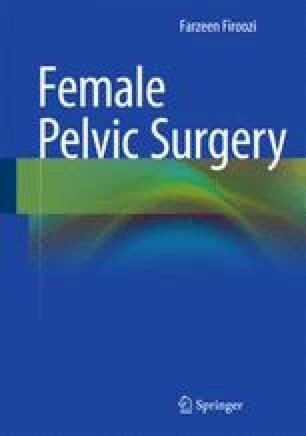 This chapter will outline the indications and technique of bladder augmentation as well as focus on the short- and long-term complications. Rao PKIA, Sabanegh ES. Augmentation cystoplasty. http://emedicine.medscape.com/article/443916-overview (2013). Accessed 31 Mar 2013. Stöhrer M, Blok B, Castro-Diaz D, et al. EAU guidelines on neurogenic lower urinary tract dysfunction. Uroweb. 2011. http://www.uroweb.org/guidelines/online-guidelines/. Accessed 11 Jan 2014.